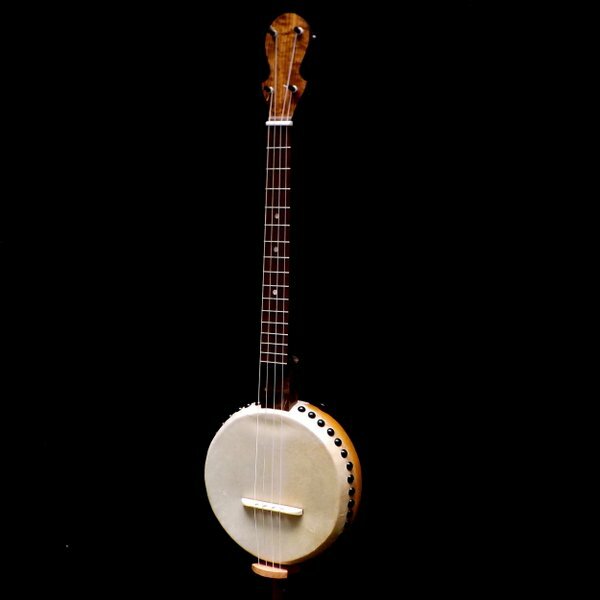 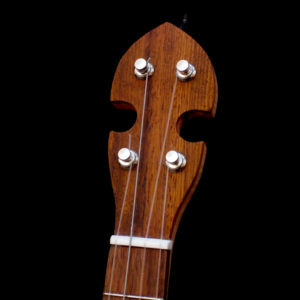 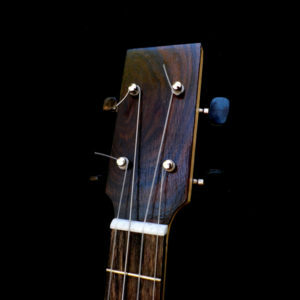 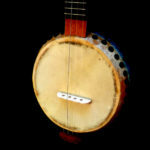 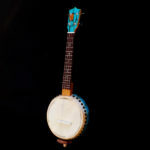 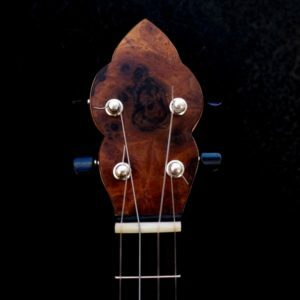 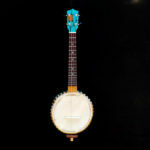 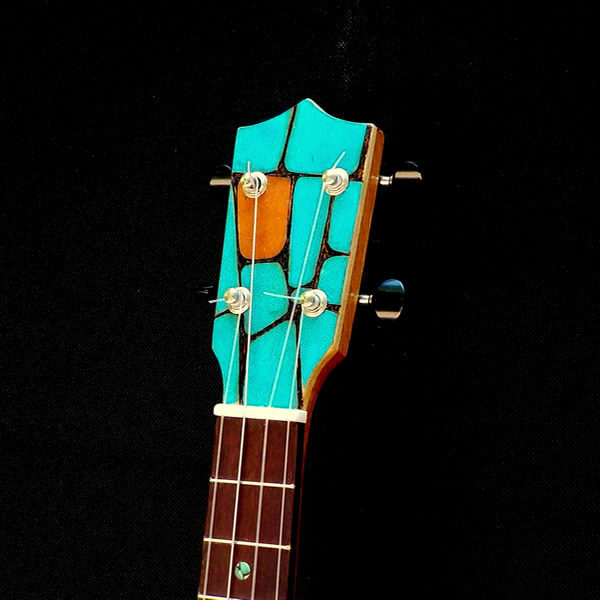 Banjolele #081T is a tenor size, 17″ scale banjolele uke with 16 frets. Mahogany neck with a Katalox fretboard. Abalone fretboard markers and white side dots. 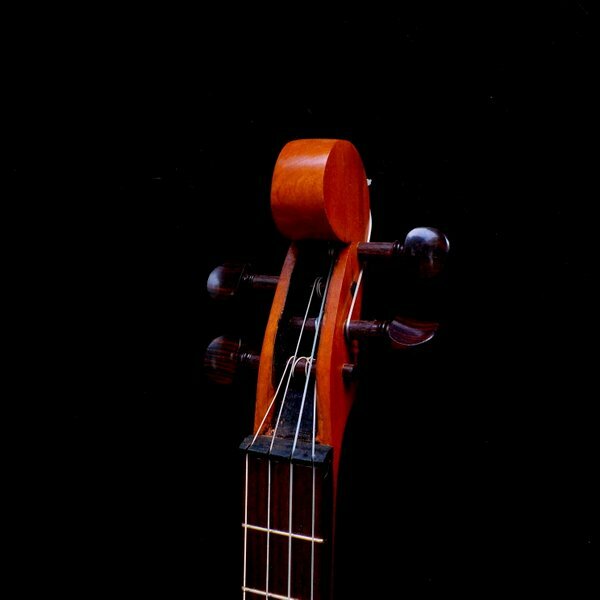 La Bella #13 banjolele string set with a wound 3rd. 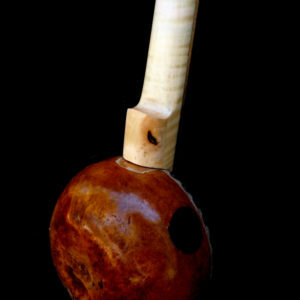 Canteen style gourd measuring 9″ in diameter x 4″ deep with a 1 1/2″ soundport. 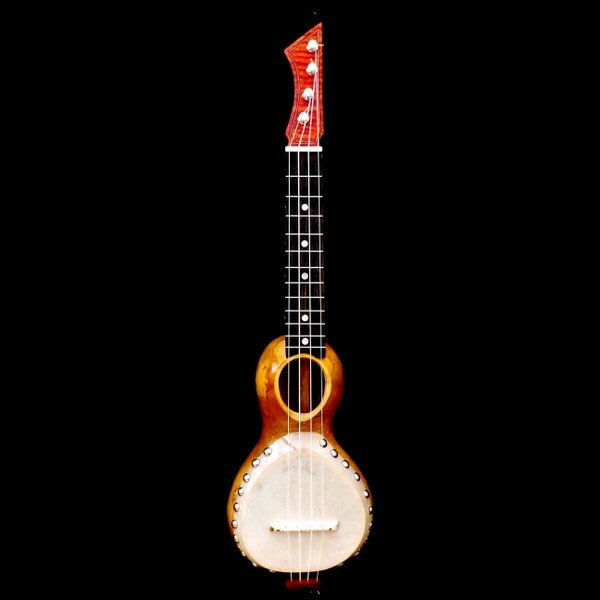 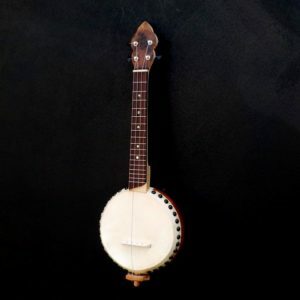 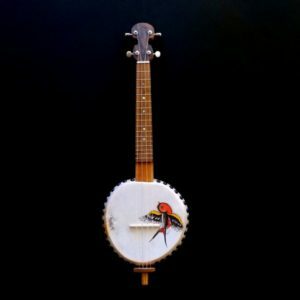 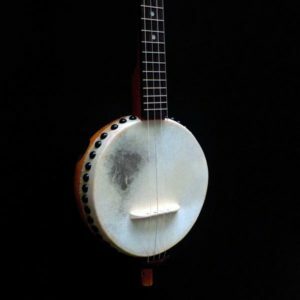 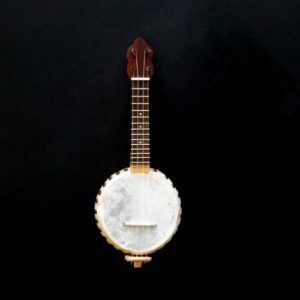 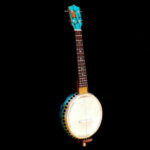 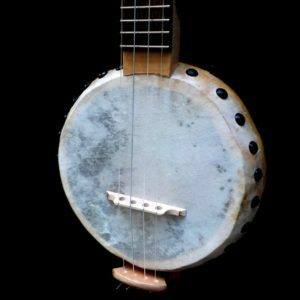 The Banjolele #081T is a tenor size, 17″ scale banjolele uke with 16 frets. 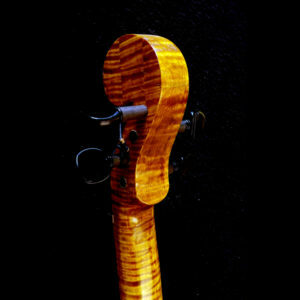 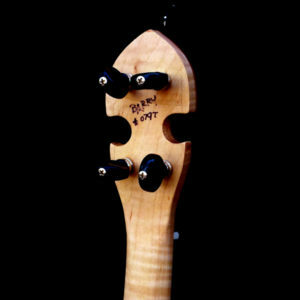 The neck is Mahogany with a Katalox fretboard. 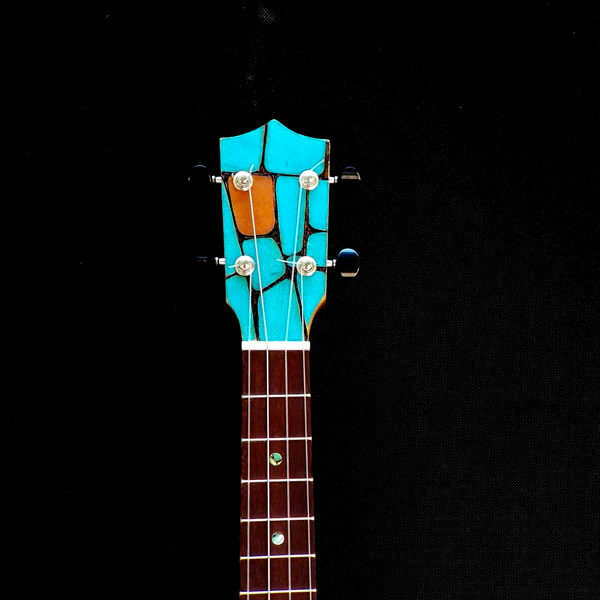 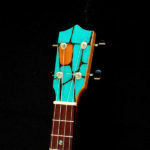 The fretboard has Abalone markers and white side dots. 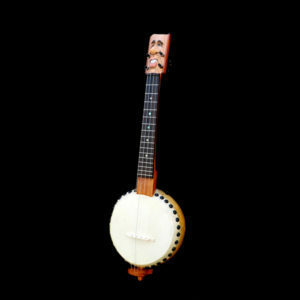 with La Bella #13 banjolele string set with a wound 3rd. 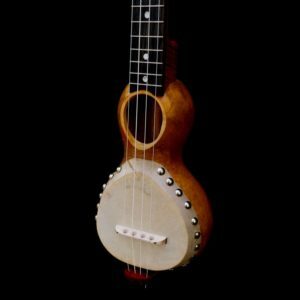 4″ deep with a 1 1/2″ soundport. The gourd is covered with goatskin. 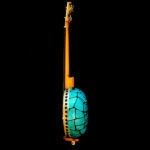 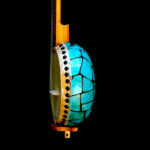 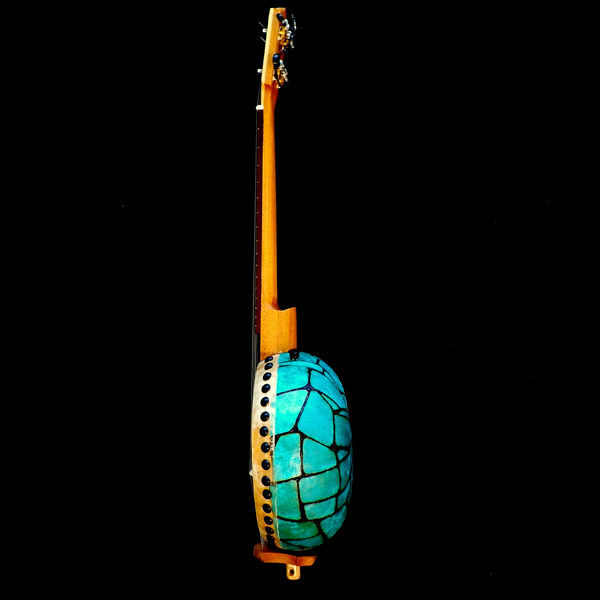 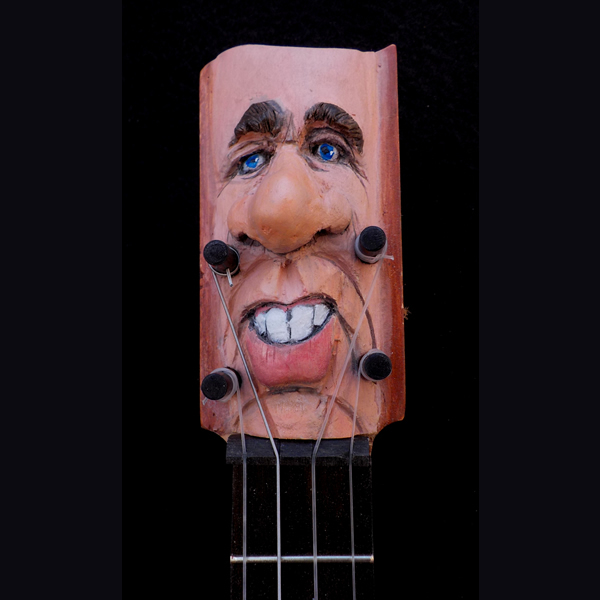 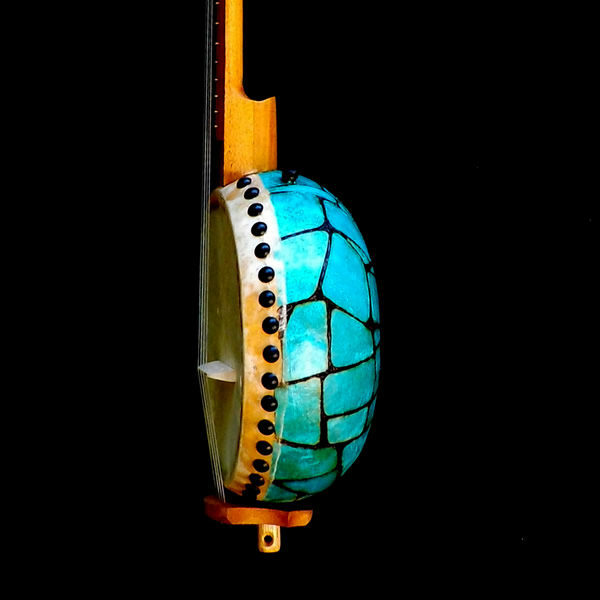 This is truely a one of a kind instrument and art piece. 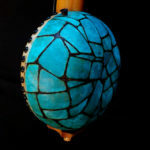 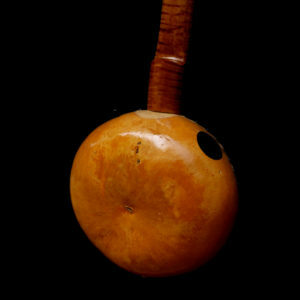 Note: the surface of the gourd is not smooth due to the techniques used . 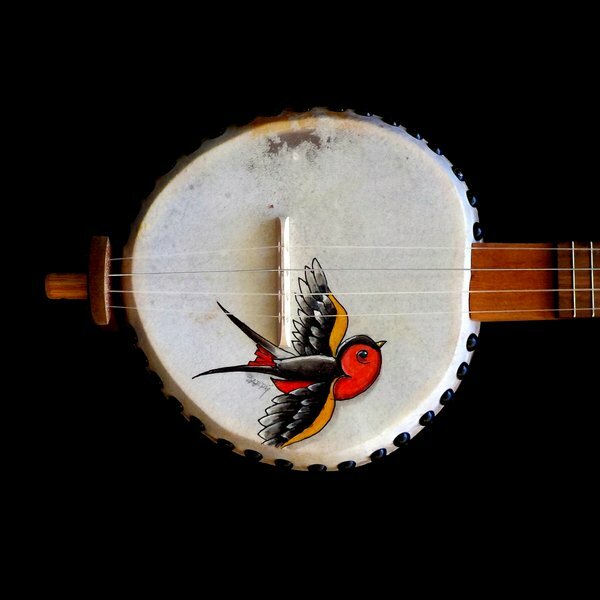 Banjolele #082T Tattoo series "Sparrow"